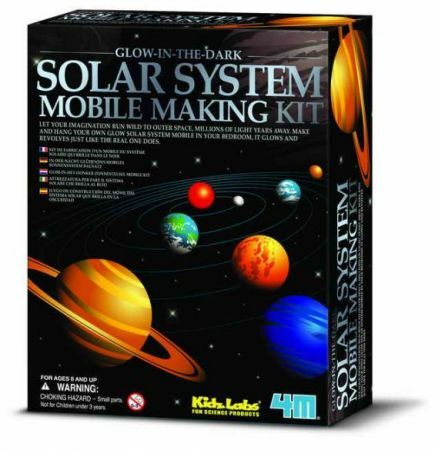 Make a solar system mobile from paper board planets in color. Mobile size: 42cm x 42cm wide. Paint them with glow-in-dark paint provided. Learn more from the fun facts sheet of solar system. Contents: solar system planets in paper board, glow paint, stencils to apply glow paint, mobile hanging hardware, wall chart with solar system fun facts, instruction.